I took your advice and took a look at Robert Llewellyn. That was a mistake. There is self-promotion, much unsupported proclamation, vaporous opinion and triviality there. What is missing is substance. Being charitable, about the kindest that could be reported is that he doesn’t know his subject, instead making the attempt to cover his tracks with prodigious production of conventional fluff (there is a lot worse that ought to be said about this kind of “reporting”). I really am disappointed. On other matters. Electric cars can be fun. I enjoyed the Tesla, the i8 and even the Leaf. The stunning Concept One stood head and shoulders above all the rest though. It just outstanding. Pity no more are to be built. It’d be worth considering getting one of those. Let’s be fair about this though. These cars are toys for wealthy people subsidised by the rest of you. They each share poor utility and poor ownership economics. There is no getting around it. Putting aside the Rimac (which is a supercar and is purchased for reasons other than economic sense- it competes against such as getting another Outremer cat, maybe a Donzi, a Fountain or Premier Dodici, a newer Lancair, a Nemesis NXT with an IO 720 or maybe another farm in, say, Tasmania), none of these electric cars makes economic sense or offers reliable utility as a day to day proposition, even with generous taxpayer support (so that you pay me to own). For a start, recharging is a major drawback. In the real world it takes many hours to recharge one of these properly if you don’t want to eat into battery life too much (and if it is YOUR car you WILL be careful about this- wealth is not generated as a result of needless profligate spending) and you are always aware of not being caught short of a fast-charge park-up or being too far away from home. You also have to remember to charge EVERY day. You can’t just hop in and drive. Everything has to be planned ahead. You soon find you are forced to adapt your activities around the car’s shortcomings. That part I really did not appreciate. Anyway, all this is well known (if one cares to look), but the real killers are what are not discussed- ever. The topics to research are where the primary ores to produce batteries and controllers and the like come from, the annual recovery volumes, how much can be won and then refined (and all this is prior to manufacturing a single component), as well as how long it takes to add to mining and processing capacity (not to mention what that costs). As a few examples: Look at how the copper content of new copper-bearing ore discoveries worldwide has been in a straight-line decline for decades (so far gains in mining efficiency and mineral process have overcome the deficit, but there comes a point when the Cu % are just too low to make recovery a go). Electric cars are set to demand more and more Cu. 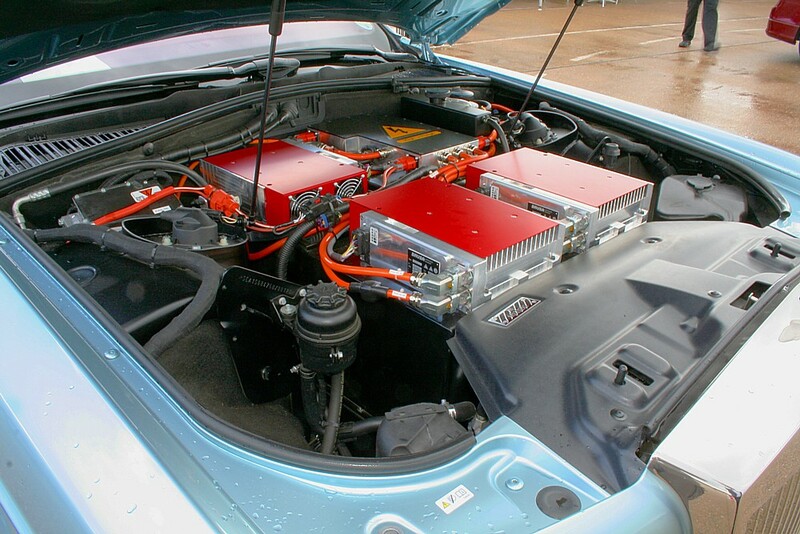 Consider that vital component of the lithium battery system, cobalt. Look up where that comes from. It ain’t good. Remember this, all of the Co production is spoken for to supply already existent applications. If electric cars get to production levels greater than say one or perhaps two million, where are the car manufacturers to get their cobalt? ‘Cause at that level you would need the entire Co supply presently available. One thing for certain, Tesla appear not to have secured a long-term supply (or even a medium-term one). There’s a hint to investors. Look, mines take decades to bring in from discovery of ore to quantifying potential through to acquiring investment, to project start and on to selling the first kilo of mineral/element. In the middle there is much painful risk, the most always overlooked need to provide for the creation of supporting infrastructure (most of these mines are going to have to be located in remote places where the transport infrastructure and electrical power supply is presently absent so it all has to be built), the need to find highly talented loyal people who are willing and able to travel to these usually inhospitable places (these people are rare and expensive; worse is they generally they have a modest shelf-life- you do not have them staying in weird places forever) and then the issue of creating refining and winning plant. All of this is hugely problematic, risky and definitely non-trivial. None of it can be ignored or wished away with the wave of the hand and magical incantation (like “government support”, “new technology”, “will of the people” and so on). Oh, and none of it is environmental at all! It is all dirty, dirty stuff. But one may suppose that if it happens overseas and poisons only the natives it’s OK so long as it remains out of sight and off the TV. Now we come to “re-cycling”. Tackle lithium for a start. There is none really. It can be pulled out of dead batteries and used as an additive for concrete (although few even bother with this). Basically it is a once through and then it gets chucked back into the environment somewhere random- hopefully it doesn’t get into the food chain or the water table…. hopefully. Check out the other materials and see what you find. Not all such good news is it? Yet no-one takes any of this seriously, not Robert anyhow. Now, as a person who has spent decades looking at this sort of stuff and directing my own money into it, I find the fluffy ramblings of the techno-idiocracy irritating in its meaninglessness, ignorance and, worse, in its misleading deception of ordinary people. Wishing popular myths to come true is a terrible waste of mind-width. Promoting them is unconscionable. What really is demanded is these vacuous opinion “leaders” and ignorant politicians shut up. They do not know what they are asking for. They have no idea of the topic for which they pretend an expertise. What is needed is a little undertaking in rationality, self-directed research, analysis and learning. Now THAT is difficult to promote! Very good points. Can’t be ignored. Interesting how China plans to be the world’s battery supplier and has bought huge chunks of mineral rich Africa etc. Yes. China is very, very important to understand, as is the role of Africa. The best way to come to terms with the Chinese approach is to read about Sir Halford MacKinder’s “World Island” and the concept of the “Heartland”. Yes, this was written a very long time ago, but the principles within it are exactly those which motivated key members of the establishment and the British government in the drive to WW1, WW2 and the USA government subsequently and right into recent times. Forget the Germans (although of some importance pre-WW1, they were not the key issue they are purported to have been) the real news was the Russians opening up a direct overland trade with China at the time and grasping the potential to access the rest of Asia. Put it this way, possession of a navy to control the oceans becomes pointless if the World Island comes to fruition. China and Russian leadership have explicitly realised the vast economic potential of tying together some 40% of the world population with a mere two railway systems. Add to this pipelines, freeways, electrical reticulation and secondary branch lines in a network for all of these and then the potential expands to well over 50% of the population. In either case the world economy gets set to grow by an order of magnitude. This occurrence shifts the centre of gravity for economic, political and cultural power away from where it presently resides. China’s objective (same as Russia’s) is economic wealth by trade. They are unimpressed with the Western model of forced mercantilism backed by military coercion and mass violence. They see no future in it, especially as it encourages the acquisition of nuclear weapons by smaller, relatively under-developed poor countries with all the dangers that entails. Having understood MacKinder the Chinese appear to have developed ambitions to go well beyond his analysis and continue onwards by joining Africa into the trading system. This makes the Middle East a key crossroads with the most important players being Syria and Iran. It is a grave threat to the petrodollar, hence likely ending the USD as international reserve currency. Interesting to see what happens next. Paraphrasing, we do live in interesting times. BTW China is already the world supplier of finished product using rare earth metals. Previous Previous post: How to spot a car company that is about to fail.